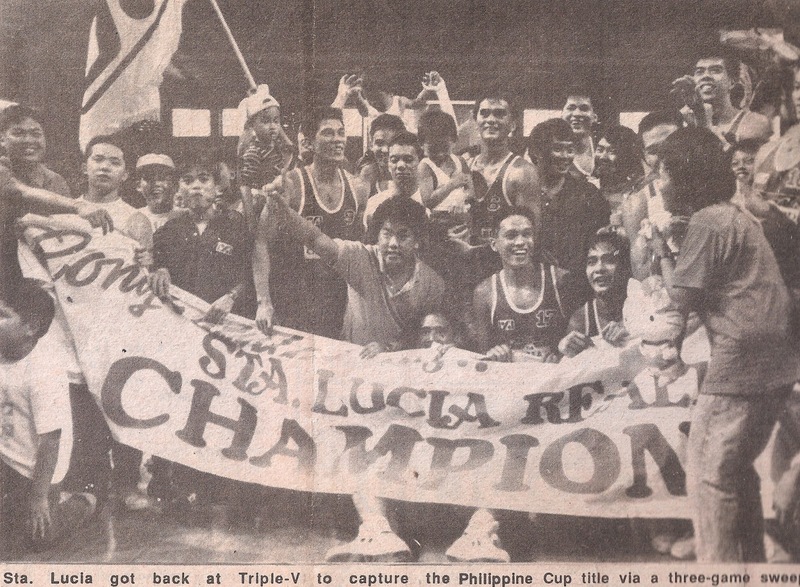 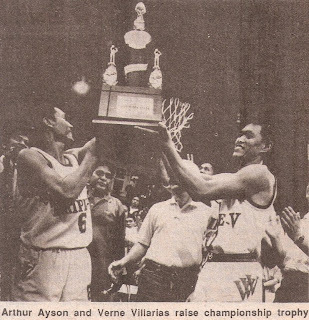 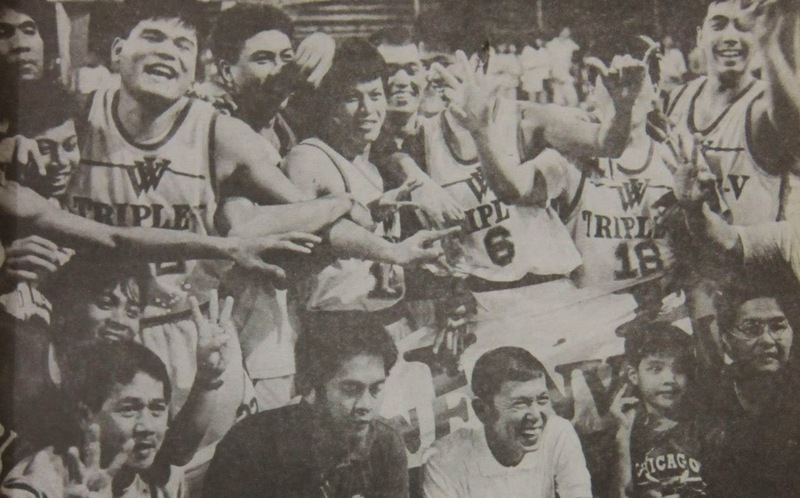 Triple-V came back from a 1-2 series deficit to beat Sta.Lucia in the 1992 PBL Philippine Cup finals and won back-to-back championships. 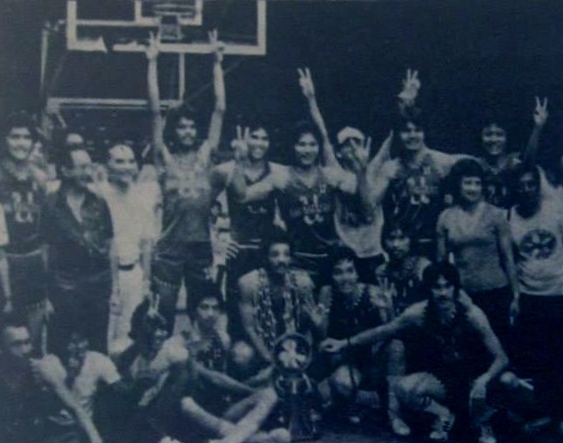 The Realtors got back at the Foodmasters in the Maharlika Cup via three-game sweep in the final series for the ballclub's 2nd league title. 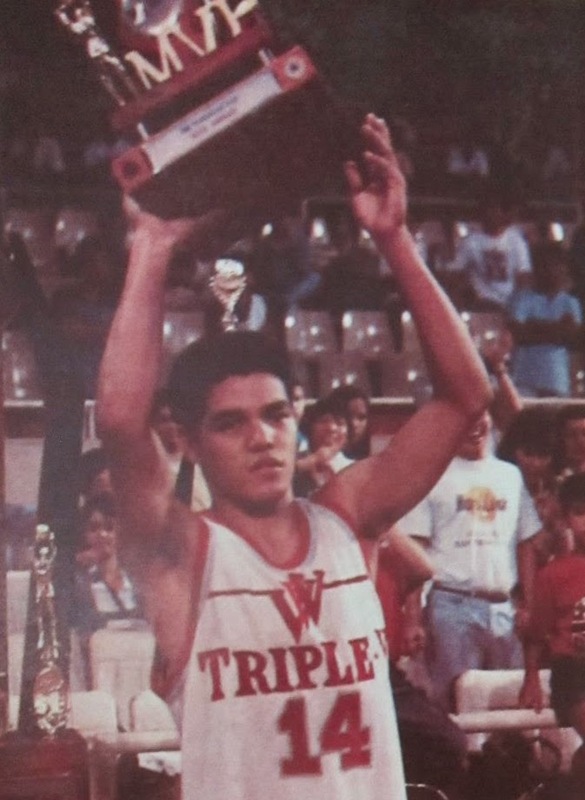 In the last conference of the season called Invitational Cup, Triple-V got the services of point guard Johnny Abarrientos from the disbanded Crispa White Cement and they played the Sta.Lucia Realtors for the third time in the finals, Triple-V scored a similar 3-0 sweep. 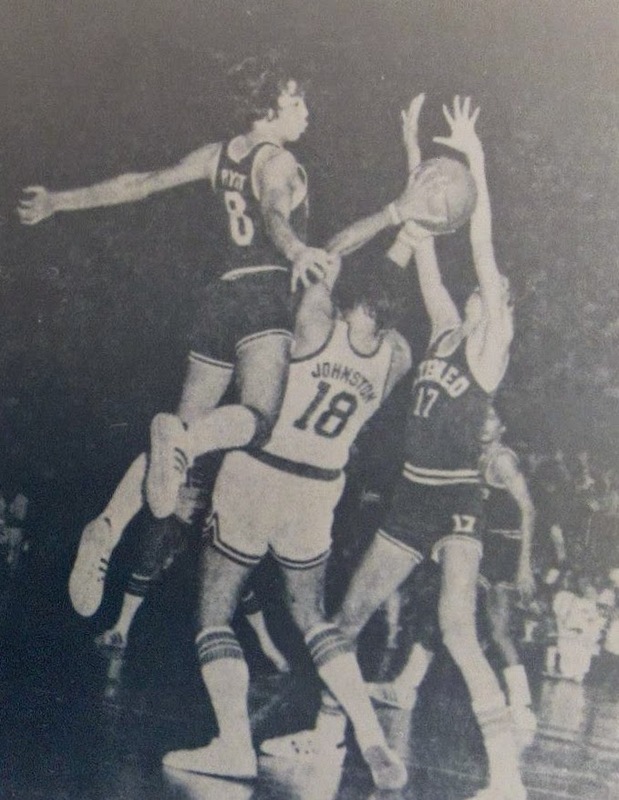 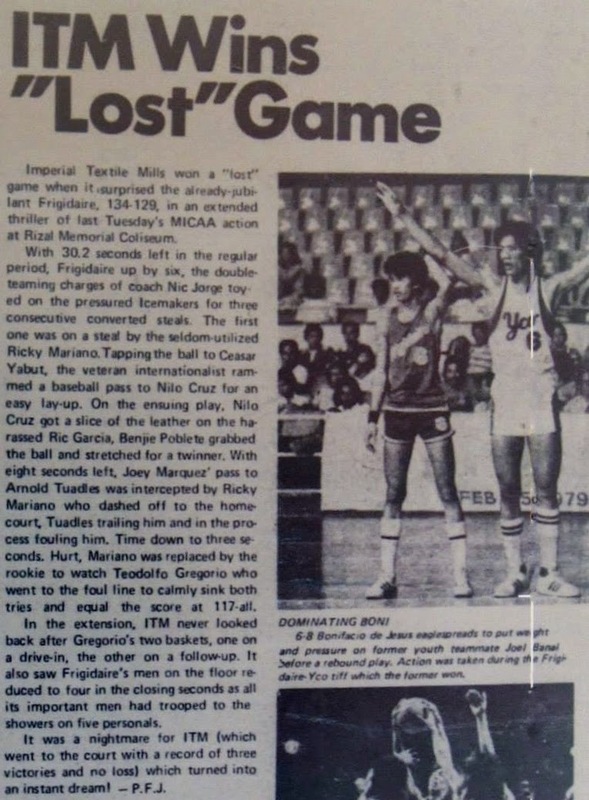 Overtime thriller between ITM and Frigidaire in the MICAA on February, 1979. 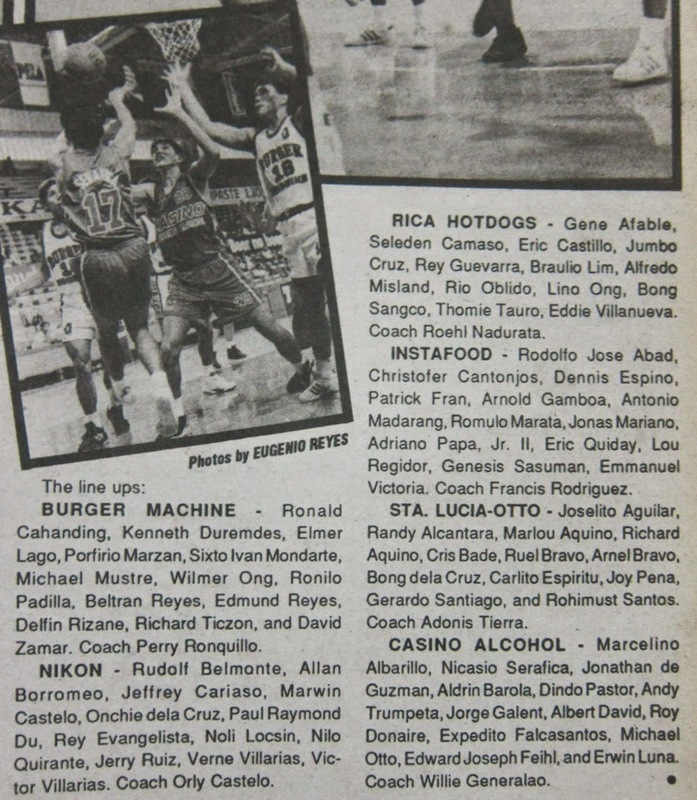 At the right is a photo of 6-8 Boni De Jesus of YCO Painters. 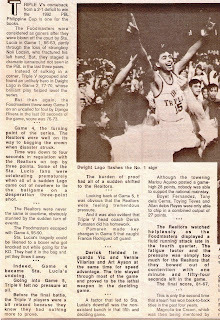 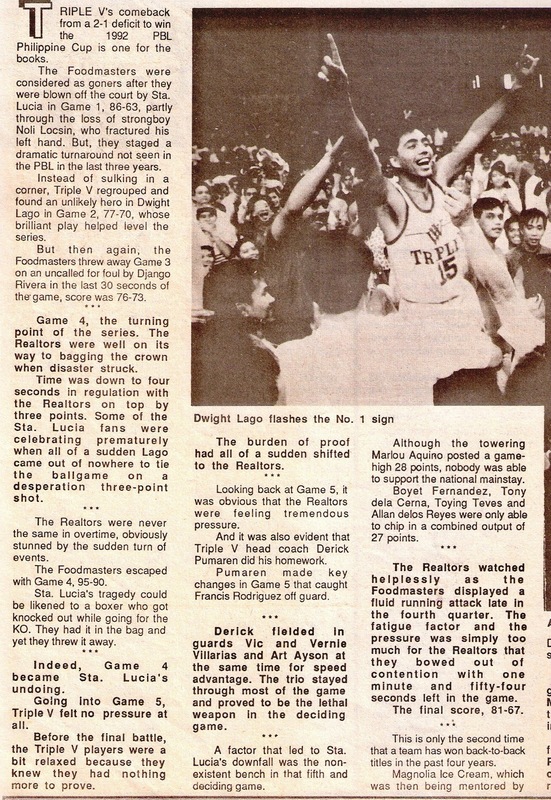 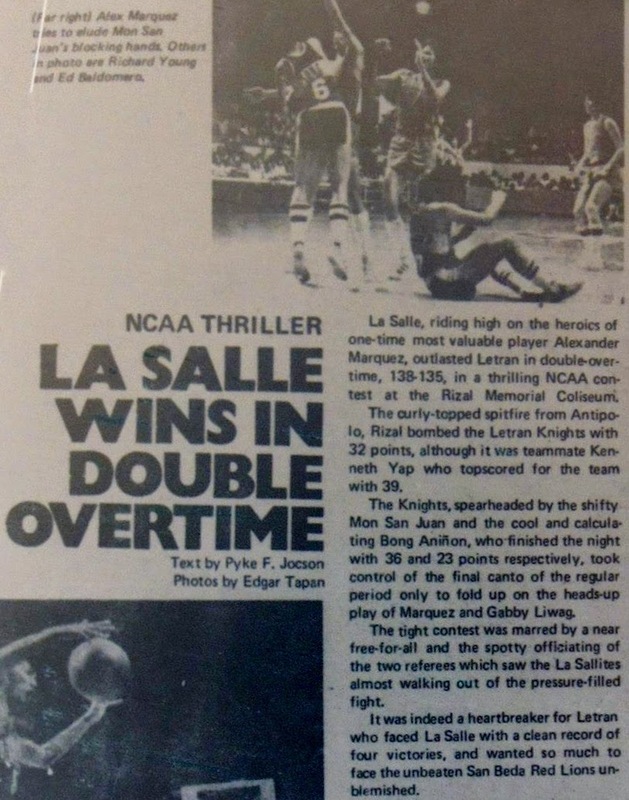 La Salle beats Letran in double overtime of this NCAA thriller in early 1979. 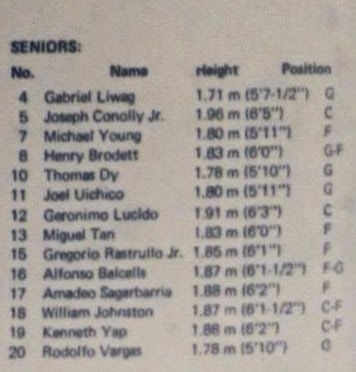 Kenneth Yap scored 39 points for La Salle while Mon San Juan finish with 36 points for Letran. 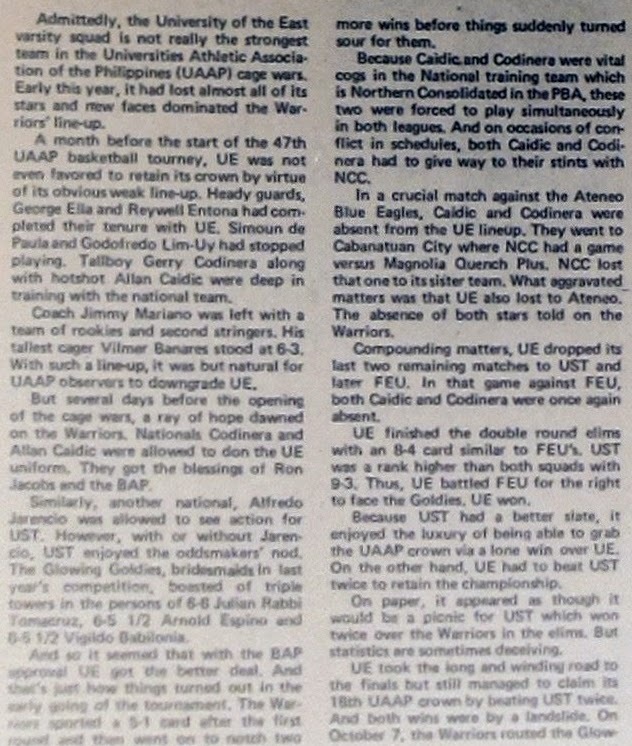 The UE Warriors, with a twice-to-beat disadvantage against the Glowing Goldies, rout UST, 105-78, to force a winner-take-all match. 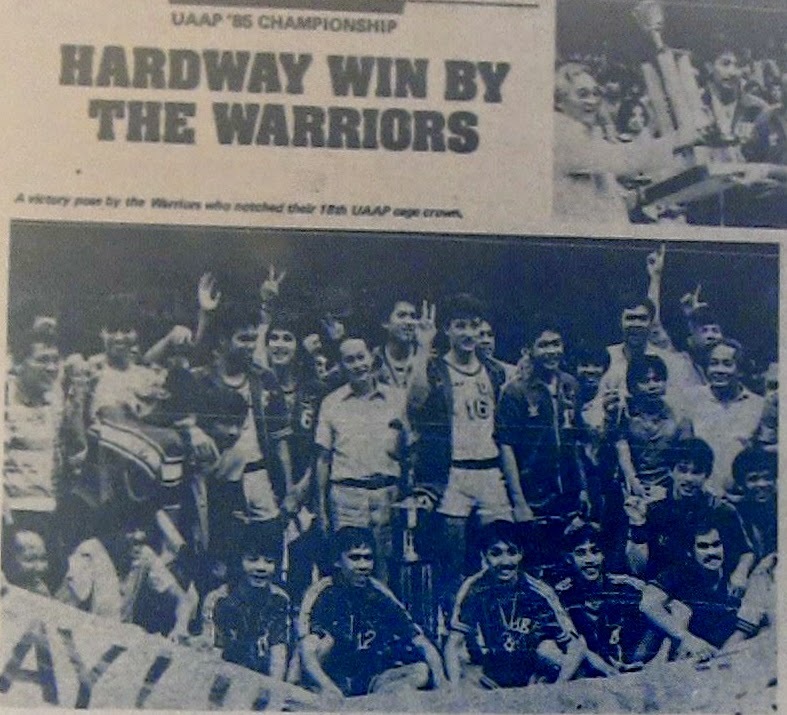 In the final game, the Warriors made it two in a row over the Goldies with a 96-80 victory and claim the UAAP seniors crown for the 2nd straight year. 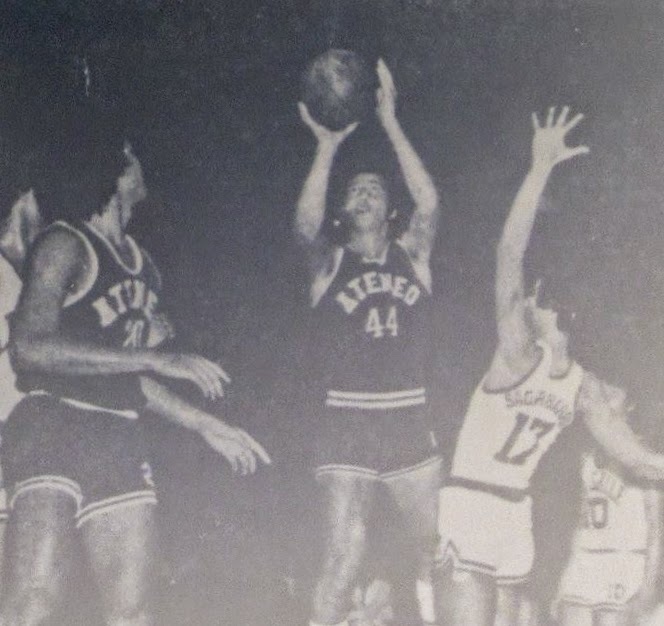 Allan Caidic scored 33 points in Game 2, and was later adjudged MVP of the 1985 UAAP season, his third in five years. 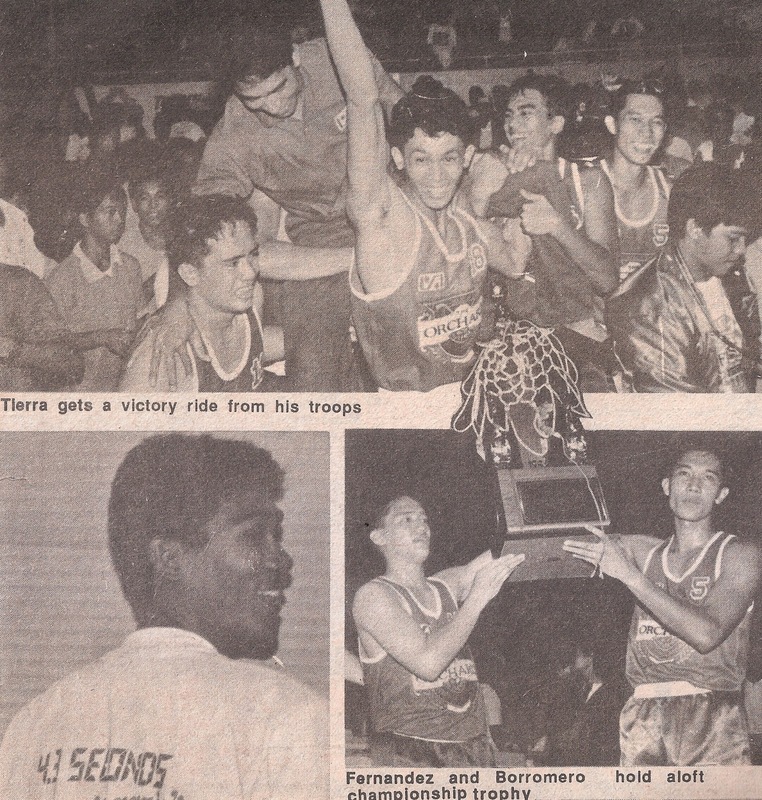 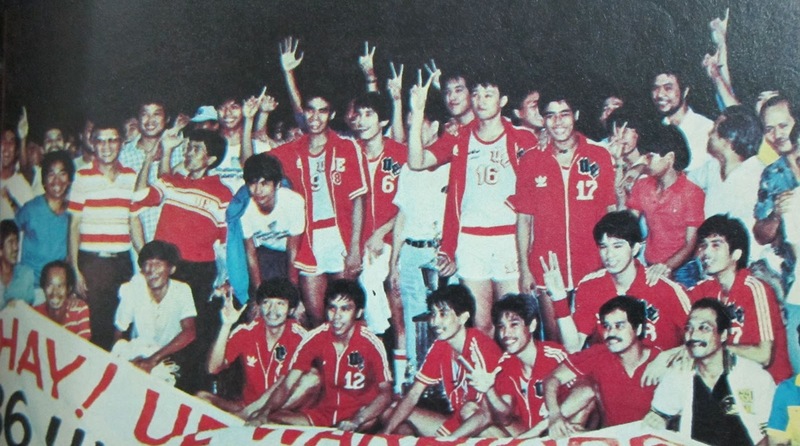 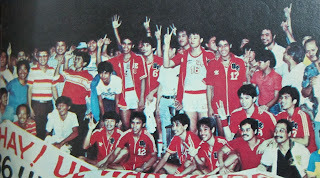 Caidic first won it in 1982 and then in 1984, the year UE also won the championship. 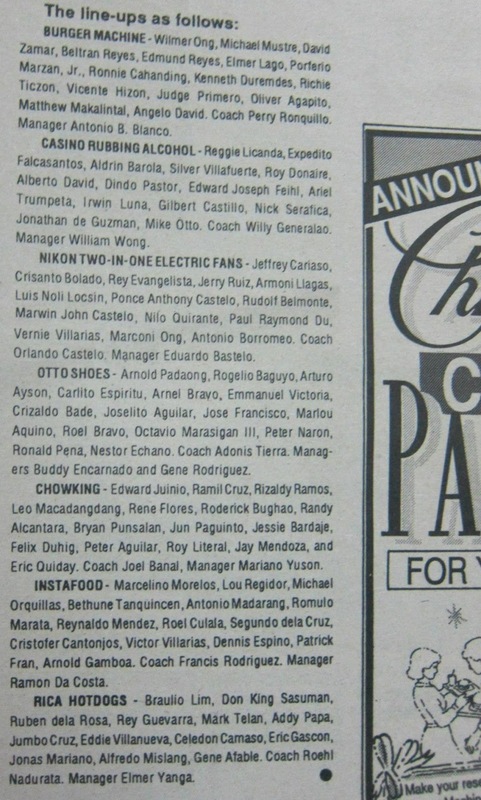 The lineups of six participating teams in the PBL Maharlika Cup. 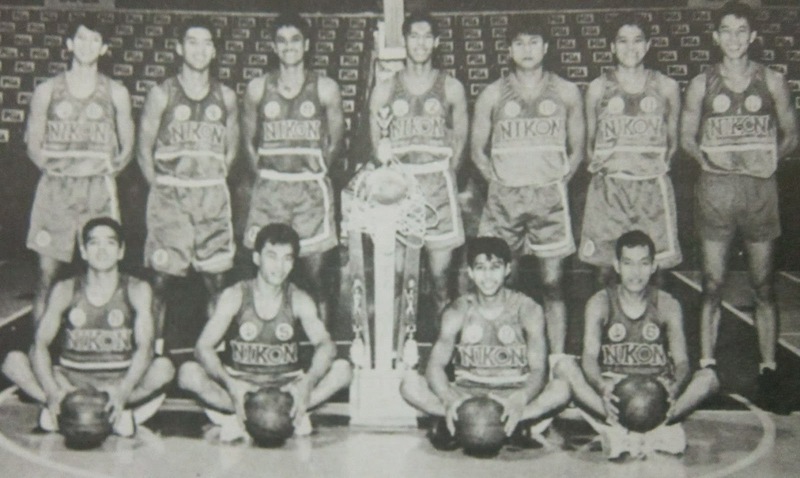 Nikon Home Appliances wins their first PBL crown in their first year of participation during the Maharlika Cup. 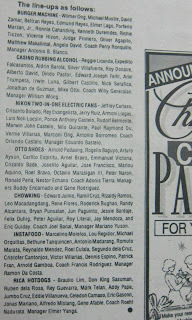 League membership were raised to seven with the entry of Chowking in the second conference named President Ramos Cup. 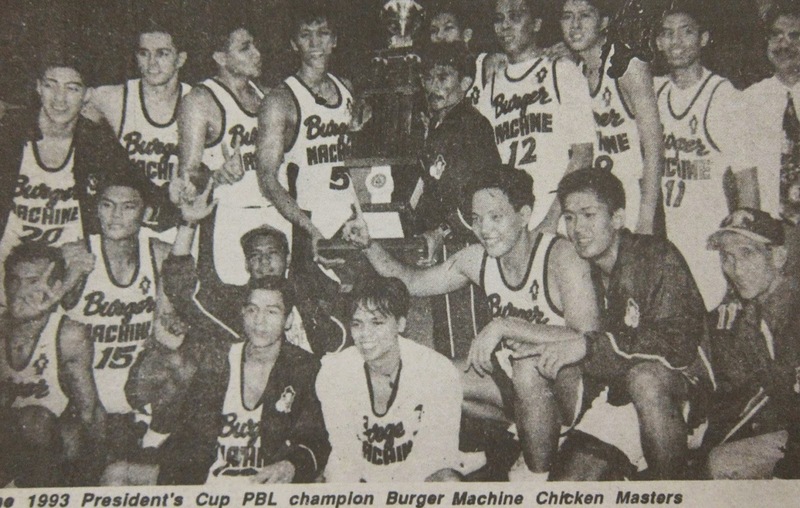 Burger Machine was the champion in the President Ramos Cup. 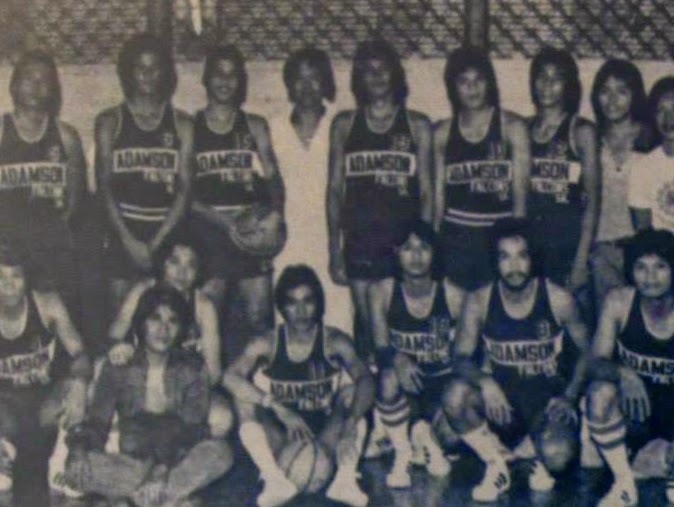 The Adamson University Falcons, the defending UAAP champions. 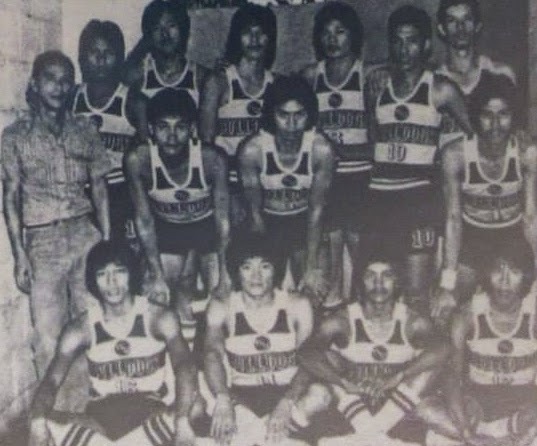 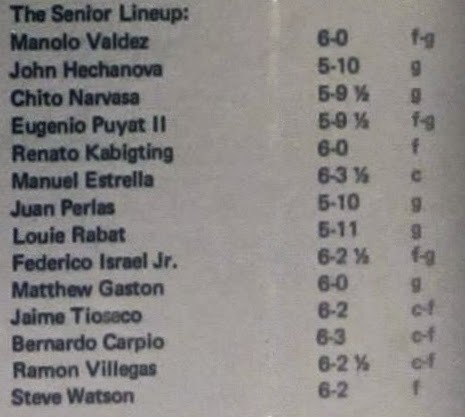 The NU Bulldogs in 1978. 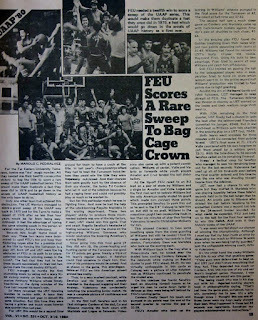 Far Eastern University was the UAAP senior's champion, defeating the UST Glowing Goldies, 100-89, in the finale. Anthony Williams topscored for the Tamaraws with 35 points, Frank Natividad led the UST Goldies with 38 points. 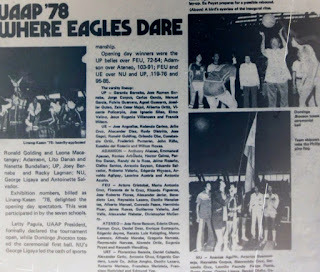 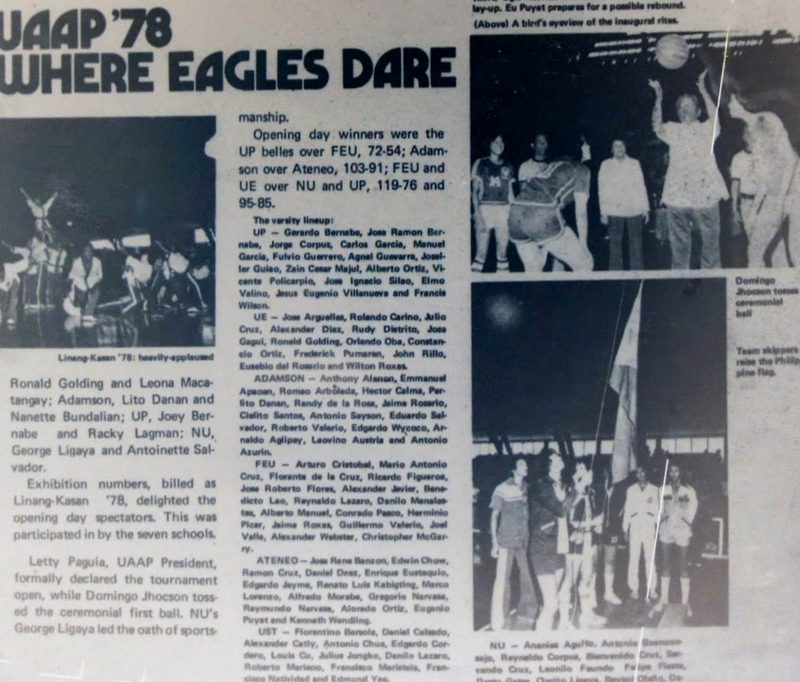 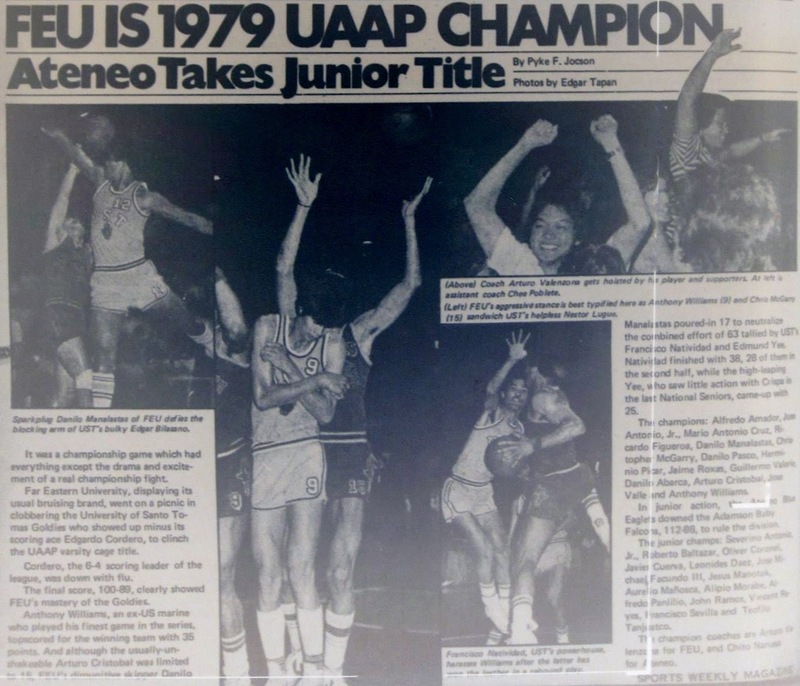 In 1980, FEU retains the UAAP seniors crown with a 12-game sweep, the Tamaraws defeated UST Glowing Goldies, 72-71, in their last game in the elims. 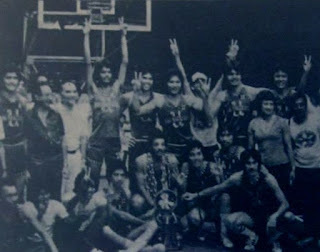 The victorious Tamaraws, 1980 UAAP champions. 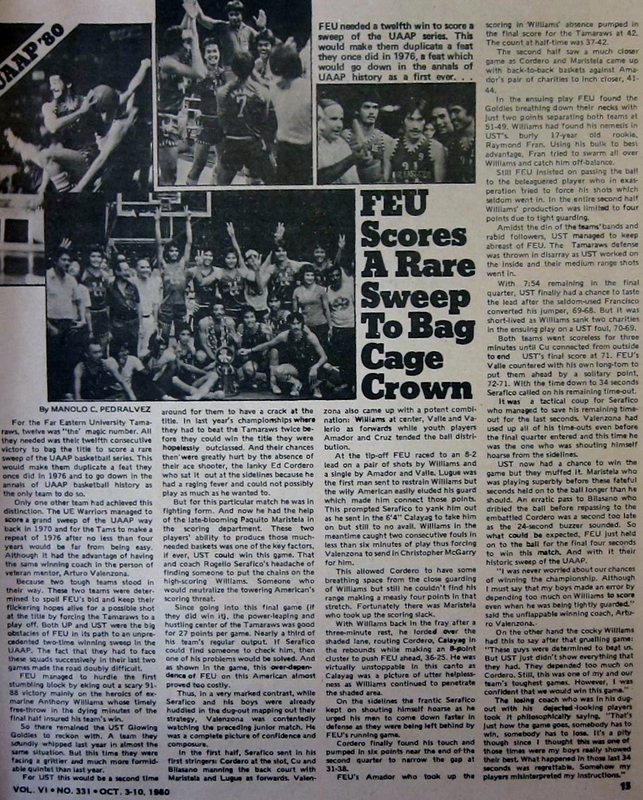 The following season in 1981, FEU completed a grandslam, winning their third straight title.